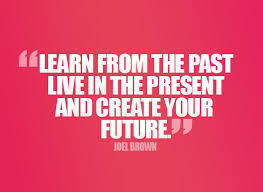 Stop being stuck in past & live in present for the future ahead!! Life is not always consistent, there are good times & tough times. Live in the present to be present in this moment of reality to embrace the future. Think of the future & hold the images of yourself being blessed with life full of fulfillment & endorse your thoughts who manifested you in reality filled with happiness & joy. Good to see this start. At last your are writing. Nice start to the future I see for you. My best wishes for your upcoming work. I hope my teacher and my friend would continue to inspire me as always. Nice to see your write up.. your Sentence itself express the way of life to be taken everyone in their life..